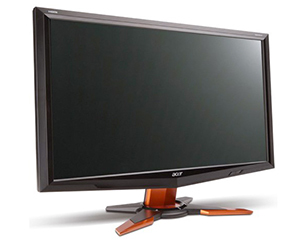 For those who like to play video games on their computers, there is simply nothing more important than having a good monitor. Even if you have the best machine in the world, without a high-quality monitor there is simply no way you will be able to get the best possible experience out of the hardware. 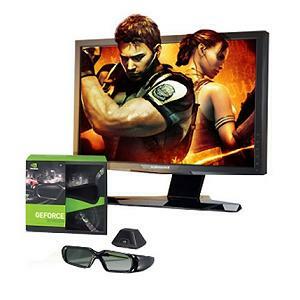 There are a variety of 3D monitors on the market that can turn a good gaming experience into a great one without breaking the bank in the process. The following are some of the best 3D monitors for your PC. This Acer model is perfect for anyone who is looking for a 3D experience but doesn’t want to shell out a large amount of money. With an MSRP of only $549.99, this monitor has just about everything basic that you would ever need in a 3D monitor, without the high prices of those on the higher-end of the market. For a great monitor that fits just about any budget, you can’t beat this product. For those who don’t mind spending a little bit more money, the Asus offers a thoroughly in-depth 3D experience while still being relatively affordable. With immersive 1080p 3D graphic technology, the Asus widescreen monitor is perfect for anyone looking to take their gaming or movie watching to the next level. Once the 3D glasses are on, you won’t be able to believe what you were missing before. As far as 3D monitors for gaming and movies go, it’s difficult to beat this Alienware model. Complete with a four-pronged USB hub and audio connected, the OptX is tailor-fit for gamers, offering some of the highest-end 3D technology on the market. While this monitor may be out of many peoples’ price range, it simply remains one of the best monitors out there. Previous: Android Gingerbread – What’s New ?